Everyday chemicals that could be putting your health and your unborn baby’s health at risk. LAST week the Royal College of Obstetricians and Gynaecologists (RCOG), the ‘gold standard’ of ante natal advice, published a scientific paper advising pregnant women to choose safety first when it comes to the use of toiletries, cleaning products and even pre-packed fresh foods. The report came under fire for being alarmist and misleading but scientists have known for a long time about the health risks of so called ‘everyday chemicals’. Anti-persperant deodorants, plastic bottles, packaged meat, cling-film, even baby bath often contain chemicals which have been shown to be toxic to the human body. It’s not just unborn babies who are at risk, it’s humans in general but the developing baby is obviously much more vulnerable to toxicity. So what’s underneath the study, what are the chemicals to look out for. Parabens are a preservative found in many cosmetic products. Research has found that parabens are absorbed through the skin and their chemical structure is unchanged by the human metabolic system. A 2004 UK study detected traces of five parabens in the breast cancer tumors of 19 out of 20 women studied, there is no direct link but the results were significant because of the fact that the parabens had not been metabolised and remained intact in human tissue. Parabens are also known to disrupt hormone balance. They mimic the female hormone oestrogen. High levels of oestrogen have been linked to some cancers, including breast cancer. Sodium Lauryl Sulphate (SLS) or Sodium Laureth Sulphate is a foaming agent commonly found in soaps, shampoos and washing detergents. Research has found that SLS can react with other chemicals in household products to product potentially carcinogenic compounds (cancer causing). Aside from this, SLS has been shown to cause common skin complaints such as itching, redness and inflammation and younger individuals tend to react stronger to these chemicals, so definitely one to watch if you or your little ones suffer with any skin complaints like eczema or itchy skin. BPA and phthalates are the chemicals which have headed up the plastic food storage controversy in recent years. It’s well known that the body absorbs small amounts of plastics when we consume food which has been in contact with plastic (worse in salty or fatty foods or foods which have been heated in plastic containers – microwave anyone?). Many studies have shown the main culprit for BPA is plastic lined cans. BPA gets into our bloodstream. Regular monitoring by the CDC shows that more than 90% of us have detectable levels of BPA in our bodies. BPA disrupts hormones, again it’s oestrogen which comes out on top and one large, well-conducted study in humans showed that people who had high levels of BPA in the urine had a higher rate of diabetes, heart disease, and liver toxicity. Phthalates are plasticisers used in everything from pipes to perfume. They have been banned in the EU since 2005 however we are still exposed to phthalates, pesticides (crop spraying) and plastic packaging are thought to be the main culprits. 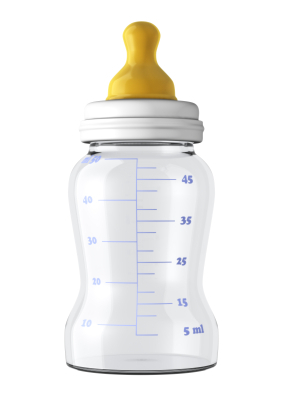 Phthalates disrupt hormones but mainly the male hormone testosterone and some studies have shown minor genital birth defects in baby boys due to exposure to phthalates. Use cookware made of cast-iron rather than teflon coated pans. Reduce your consumption of fast foods and microwave meals. Don’t use plastic bottles with a number 3 or 7 on them. Number 1 on plastic is single use only. Avoid heating food in plastic containers or with cling-film. Opt for pyrex or glass food containers. Hand wash plastics to avoid wear and tear. Do not heat plastic bottles.